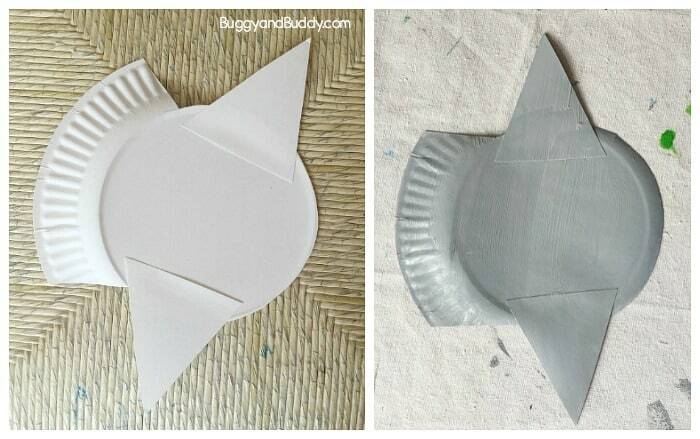 Here is how to make an ocean sunfish, sometimes known as a common mola fish, out of a paper plate. 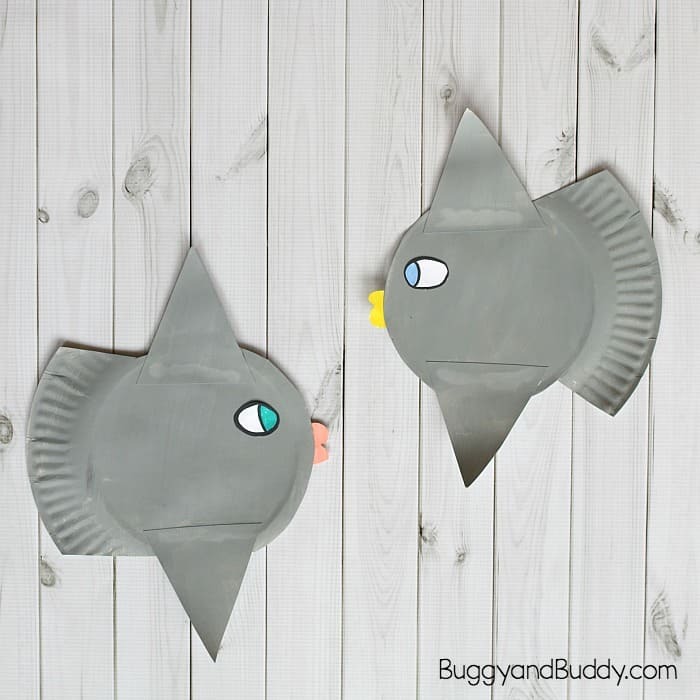 This paper plate sunfish craft for kid is perfect for any unit on oceans or sea life! 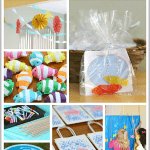 Follow our Craft for Kids Pinterest board! 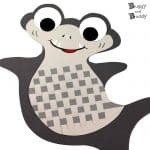 The ocean sunfish is one of our favorite sea creatures to observe at our local aquarium. Their large size (they can grow to be over 5000 pounds) and unique look always illicit all kinds of questions from curious kids and students and are mesmerizing to watch. 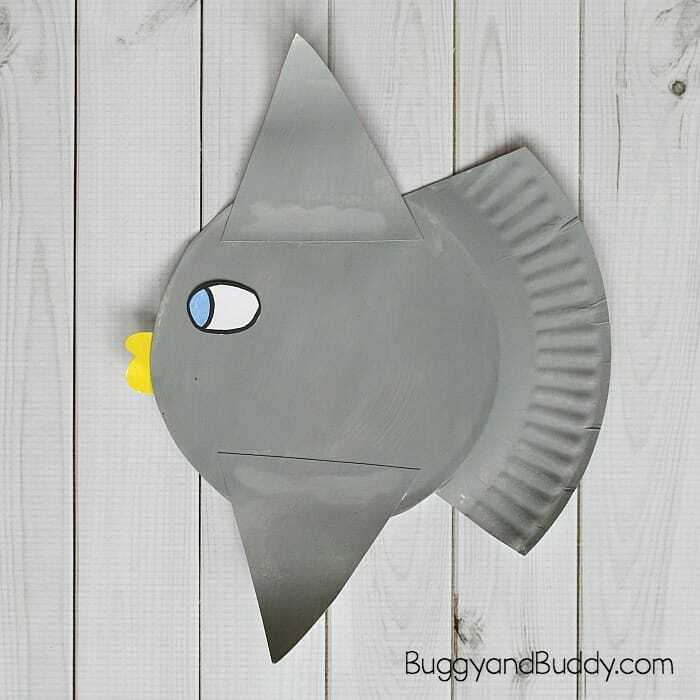 Created by one of my husband’s super creative students, here’s how to make your very own sunfish craft using a paper plate! 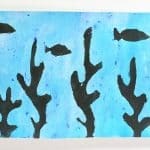 Gray tempera paint (We mixed black and white paints. This is my favorite brand of tempera paint.) Or you can use gray crayons or markers. 1. 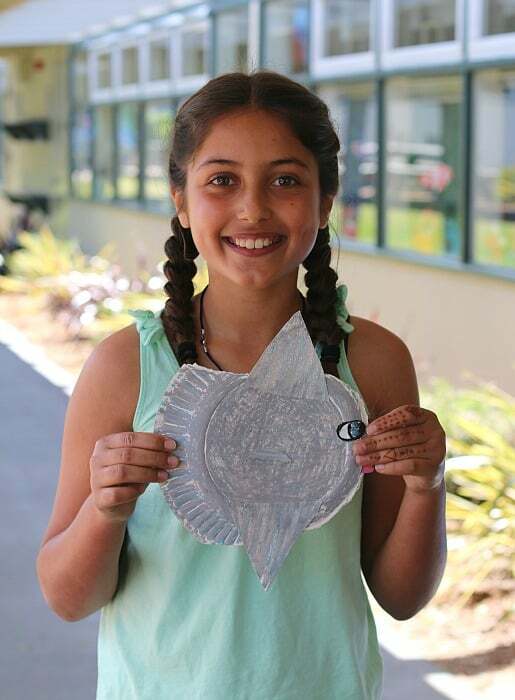 Take a single paper plate. Cut off part of the plate as shown in the photo below. You’ll basically be leaving one ridged edge of the plate as the tail and cutting off the remaining ridged edge. 2. 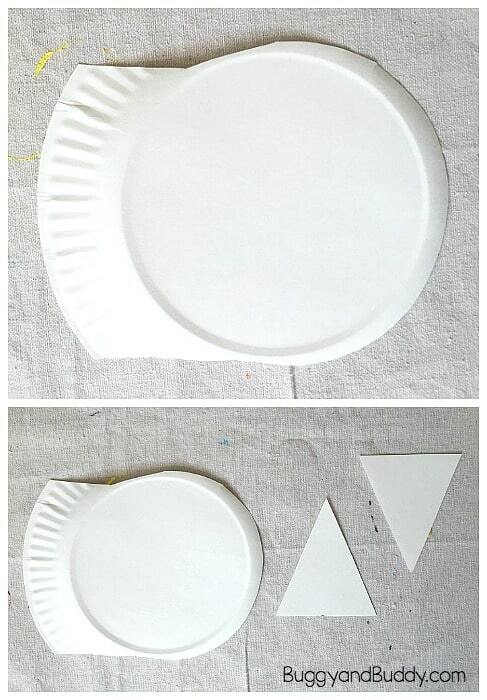 Cut out two triangles from another paper plate. 3. 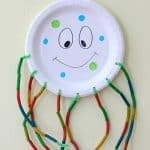 Glue one on top and one on the bottom of your paper plate. Allow the glue to dry. 4. 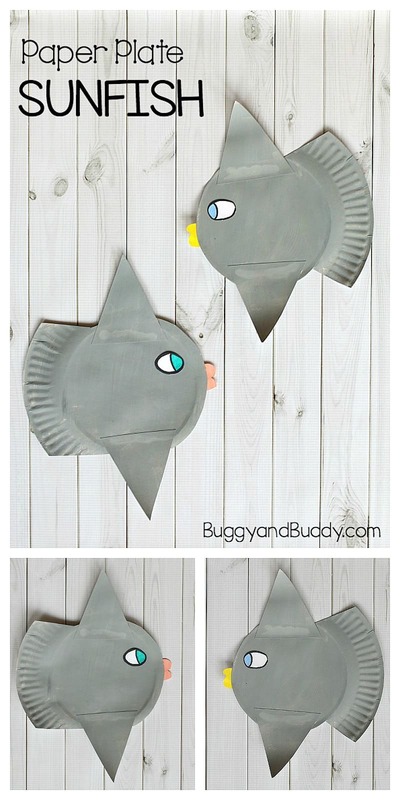 Cut out an eye and a mouth from your scraps. 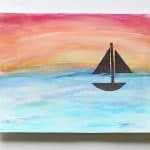 Use marker or crayon to color them. 5. 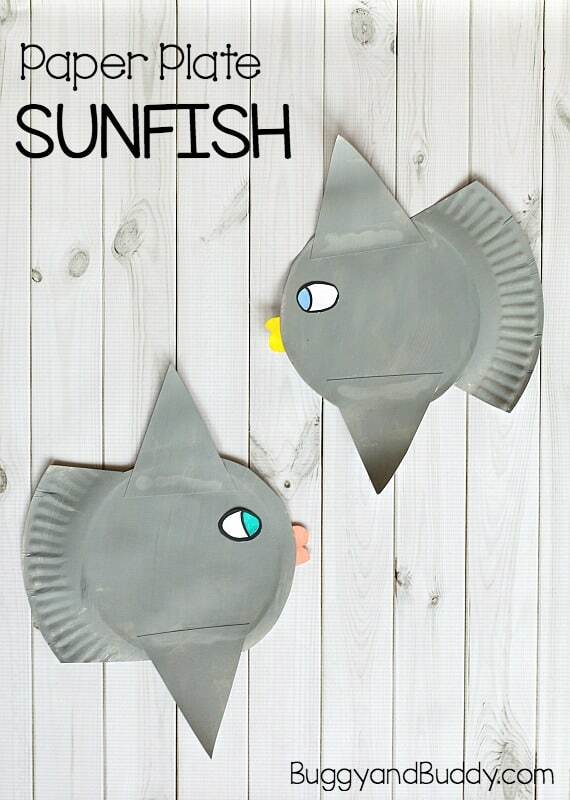 Glue your mouth and eye to your sunfish and let dry. That’s it! 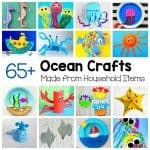 Be sure to check out all our ocean inspired crafts and art projects!